A 16 inch flexible rod, secured to the tip of a Crinkle Ball. Catch kitties attention while waiting for their turn to shine. A happy cat is always a winner. Ribbon or not this toy is a prize. 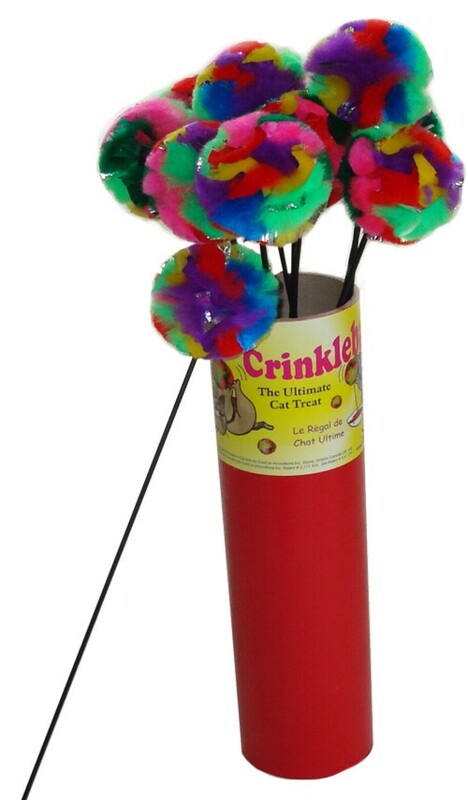 Not only will your cat have fun with this toy but you will enjoy teasing your cat.